Listhesis is a general synonymous term for spondylolisthesis. 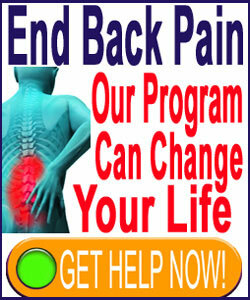 The condition always entails an atypical anterior or posterior movement of vertebral bones. However, there are different reasons for this migration to occur and a host of different approaches to care in terms of treatment possibilities. Vertebral slippage is a rather common spinal abnormality, affecting between 5% and 10% of the general population in any given geographic location, depending on the study data cited and the exact definition of the conditions utilized to gather the statistic. Spondylolisthesis is easy to diagnose using any form of medical imaging, but often exists for a very long time without being identified. Even when it is finally discovered, it is often due to coincidental testing for some completely unrelated health issue. This essay provides a complete general overview of the similarities of all vertebral slippage conditions in the human spine. We will detail listhesis in a way you might have never read before, allowing the reader to increase their knowledge of vertebral migration by covering particularly interesting characteristics of the condition. Regardless of the specific variety or direction of vertebral slippage, all conditions have certain characteristics in common. The spine cascades in gentle slopes from top to bottom, with each vertebral bone being located in a distinct and predictable position beneath the one above it and above the one below it. This cascade is multiply curved, as the spine demonstrates several distinctive curvatures in the sagittal plane. The neck demonstrates a lordotic curvature, with the concave side facing posteriorly. The thoracic spine demonstrates a kyphotic curvature, with the concave side facing the anterior of the body. The lumbar region demonstrates a lordotic curvature with the concave aspect facing the posterior of the anatomy. The sacral and coccygeal regions feature a kyphotic design, with the curvature concavity facing the anterior of the body. With all these curvatures, the vertebral bones will rarely be directly above or below each other and perfectly aligned when viewed from the transverse plane. Instead, each will be offset slightly and predictably in order to facilitate the curvatures that are so important to our human backbone. When vertebral migration occurs, the amount of difference between the above and below vertebrae increases and is therefore deemed to be a spinal abnormality. All forms of spondylolisthesis are considered atypical, but still affect between 5 to 10% of the general population, making this condition frequently seen in clinical medicine. While vertebral migration is considered atypical, it is not considered pathological. Research and clinical studies prove that over 90% of all cases are minor to moderate in degree and are not symptomatic. Severe grades of vertebral slippage can become major health issues, but these circumstances are unusual and do not account for more than a small minority of the total diagnosed patient population. 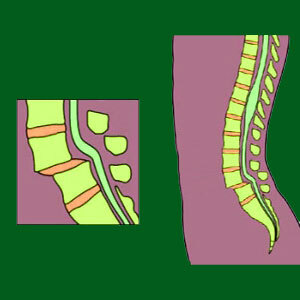 Spondylolisthesis is the only spinal abnormality that does factually increase a patient’s risk of suffering back pain. All other structural conditions, including arthritis, degenerated discs and intervertebral herniations, demonstrate no increased risk to dispose an affected person towards experiencing back pain. However, the increased risk of pain associated with vertebral listhesis has only been proven in some studies, while it has been disputed in others. Regardless, the increased risk, if a reader chooses to accept it, is only a token amount of less than a single percentage point. Vertebral slippage can look frightening on diagnostic imaging, even in its grade 2 form, which is typically completely asymptomatic. However, its appearance doe not mean that pain will inherently result from the condition. In fact, many grade 3 and some grade 4 cases are very clinically extreme in terms of presentation, but still remain asymptomatic. Many have existed for decades and were never even discovered until testing for an unrelated health issue was performed and incidentally visualized the severe listhesis issue. Vertebral migration is not a problem not itself. However in serious cases, the condition of spinal bone misalignment can cause or contribute to spinal and neuroforaminal stenosis, as well as mechanical dysfunction of the facet joints and the deterioration of the intervertebral disc spacers. None of these consequences are inherently painful or pathological either, but all can become so given particular circumstances in particular patients.